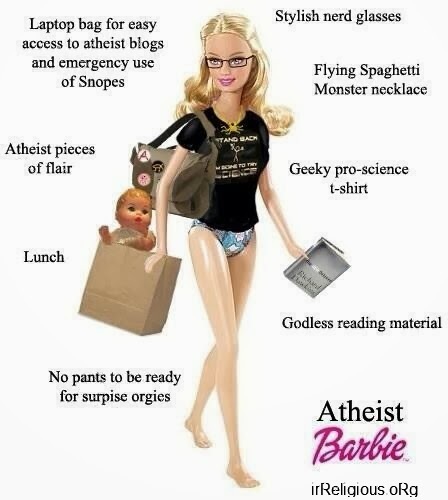 Funny Atheist Barbie Doll Picture - Laptop bag for easy access to atheist blogs and emergency use of Snopes. Stylish nerd glasses. Flying Spaghetti Monster necklace. Atheist pieces of flair. Geeky pro-science t-shirt. Lunch. No pants to be ready for surprise orgies. Godless reading material.